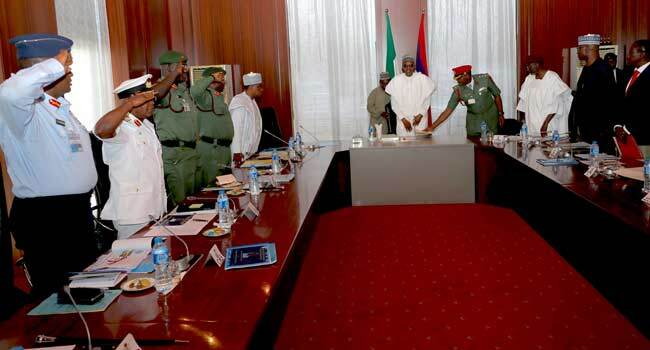 President Muhammadu Buhari is currently meeting the nation's security in Abuja. OkayNG.com gathered the meeting started at 11.25am and is holding the President's office at the Presidential Villa, Abuja. Recall the President returned to Abuja on Saturday after a 10-day vacation in London.